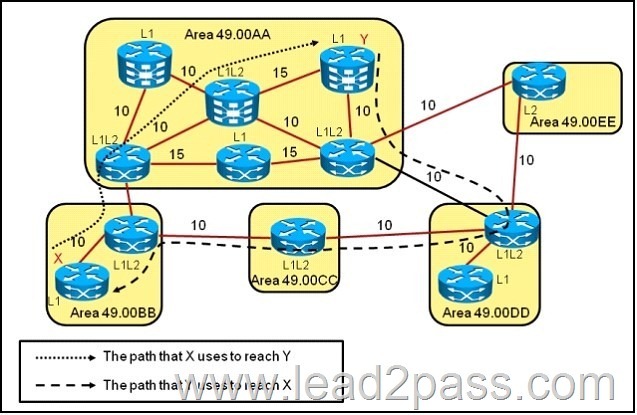 If a match clause does not exist in the route-map entry but a continue clause does, the continue clause will be automatically executed and go to the specified route-map entry. If a match clause exists in a route-map entry, the continue clause is executed only when a successful match occurs. When a successful match occurs and a continue clause exists, the route map executes the set clauses and then goes to the specified route-map entry. If the next route map contains a continue clause, the route map will execute the continue clause if a successful match occurs. If a continue clause does not exist in the next route map, the route map will be evaluated normally. If a continue clause exists in the next route map but a match does not occur, the route map will not continue and will "fall through" to the next sequence number if one exists. Refer to the exhibit. 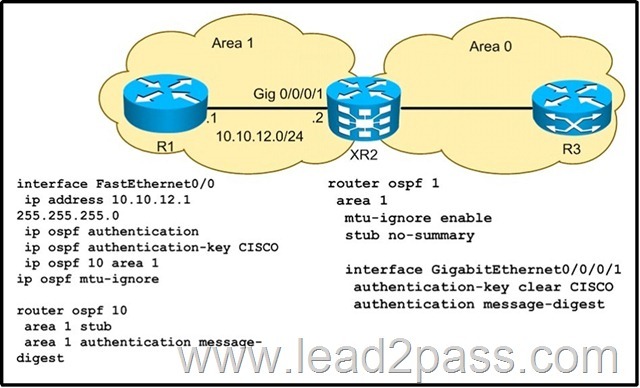 Based on the Cisco IOS XR route policy configuration, when redistributing OSPF routes into IS-IS, to which of the following does the "tag" value correspond? 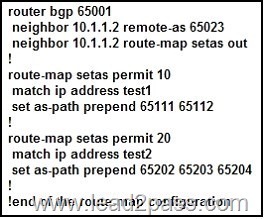 When the "setas" route map is applied to the 10.1.1.2 neighbor, the 10.1.1.2 neighbor is not able to receive all the required BGP routes from this router. What could be the problem?